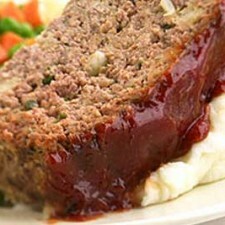 Do you remember grade school when the cafeteria would serve meatloaf on Mondays? No one ever wanted to eat it because it was dry, burnt and ugly! Well, it has been a long time since grade school and frankly I make the best meatloaf nowadays! 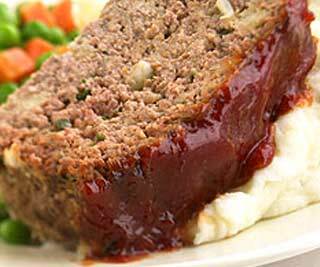 Now, not everyone likes meatloaf but give this recipe a try and I guarantee your taste buds will be telling you different. Preheat your oven to 350 degrees. Mix your ground beef, eggs, and breadcrumbs in a large bowl until well blended. Mix your french onion soup mix, coconut oil, garlic powder, cinnamon and salt and pepper in a medium bowl. Add the spices to the larger bowl and mix until everything is combined. Place foil on a metal pan and form the meat mixture into a loaf. Place the pan into the oven and let it cook for about 30 mins. Remove the pan and add ketchup to the top of the loaf. Place back in oven for about 15 mins. Your meatloaf will be very moist from the added coconut oil and very tasty from the added spices! Do you have a recipe for a delicious home cooked meal? Email us at info@kelapo.com or leave us a comment!